***1000 hour service performed April 2018*** Fish raising machine now available! Multiple tournament wins. Perfect charter boat, turnkey, economical with a huge fishing platform.Powered by a 3412E CAT engine.Cruises at 27 kts burning 42 gph, 35 kts top end speed with 600 gallons of fuel.Cold molded, 24 volt bow thruster, 25K Furuno radar, Garmin plotter, Furuno NavNet Sounder, EZ Pull anchor windlass. Very well maintained. Ready to ship to Costa Rica for the upcoming season. Priced to sell. United Yacht Sales New Jersey would love to guide you through a personal showing of this 54' Craig Blackwell Sportfish 1992. 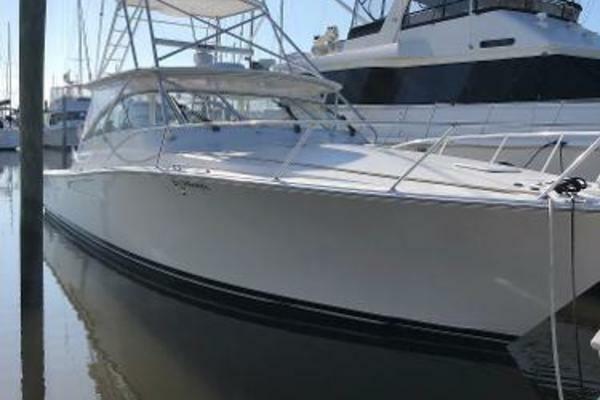 This yacht for sale is located in Stuart, Florida and priced at $299,500. For a showing please contact us by filling out the form on this page and we will get back to you shortly!